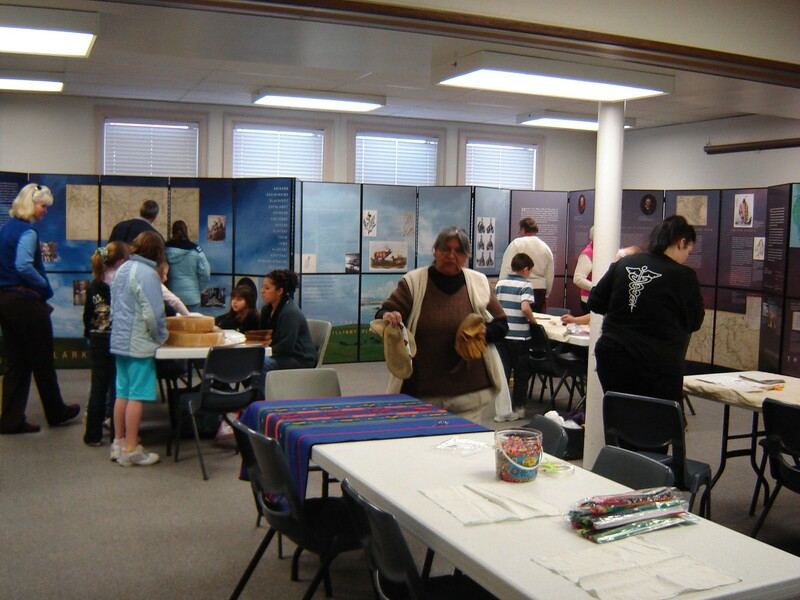 As part of Lewis and Clark and the Indian Country: 200 Years of American History, an NEH-funded exhibition, members of the Northwestern Band of Shoshones led a craft workshop. Image courtesy of the Brigham City Library. 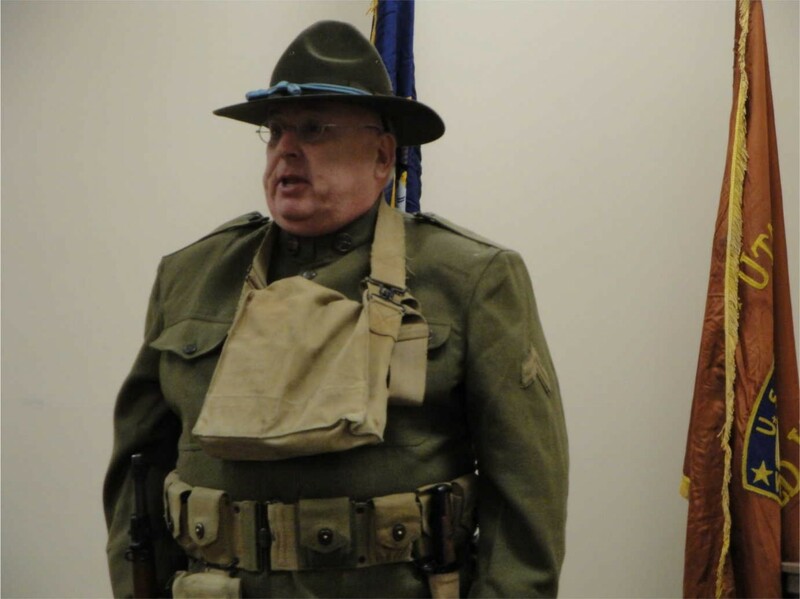 A World War I reenactor participated in the opening reception for World War I and America at Brigham City Library. Image courtesy of the Brigham City Library. Library events have helped make Brigham City a cultural hub for Northern Utah. People from the surrounding area travel as far as 90 miles each way and from neighboring state Idaho to see the exhibitions and take part in accompanying public programs. What is more, the success of these programs has enabled Hill to build a programming budget for the library, which supports a variety of community initiatives. She is now able to provide supplementary programming independent of NEH support—this includes hosting parent and child reading groups and a poetry writing workshop, and inviting authors and publishers to speak at the library. In addition, the library offers monthly LEGO play nights and STEM activities for children.